Lauren Lee and her band are happy to be making their 9th WoodyFest appearance. They have maintained their original style through the years and are excited to be adding new band members to this year’s performance. Lauren is also hosting the 2nd year of Woody’s Kids events. This is a program that is dear to Lauren’s heart as she continues to spread her desire for musical education steeped in traditional music. Lauren is passionate about performing and making music, but is equally inspired to helping spread her love for teaching. 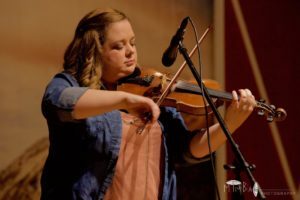 She currently has a teaching studio of over 30 students and hopes to continue to inspire and educate musicians of all ages.